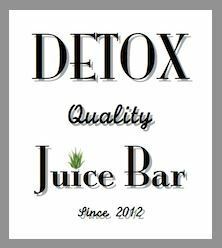 (location) Contact Detox Juice Bar Phuket. We are located directly behind Wat Phranang Sang on the busy alley of Baan Kien Market in Thalang, Phuket. With black and white glazed frontage on the building we overlook the popular Power Gym and Thalang Massage in this bustling Phuket healthy meeting place. At the Baan Kien Thalang traffic lights where the 402 meets the 4030, turn West toward Surin Beach and Laguna. Go West for 200m and you will see on the left a Tesco Lotus Express, a 7/11 and large local produce market, the Baan Kien Market. Turn in here and park. We are directly across from Thalang Massage. Parking is free and convenient. At the Baan Kien Thalang traffic lights the 402 meets the 4030, turn West toward Surin Beach and Laguna. Go West 200m and you will see on the left a Tesco Lotus Express, a 7/11 and large local produce market, the Baan Kien Market. You can turn in here and park. We are directly across from Thalang Massage. Customer Parking is free and convenient.